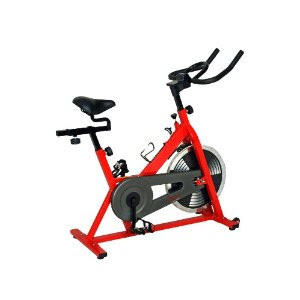 My big Christmas present this year was a spin bike. I always enjoyed going to spin classes at the Y, so I thought it would be great to have my own bike. I don't know about you, but after all day at work it's really hard to want to stop at the gym. So having the bike has been a great way to make sure I get a workout in. I am always impressed at those who are good at making up their own spin workouts. 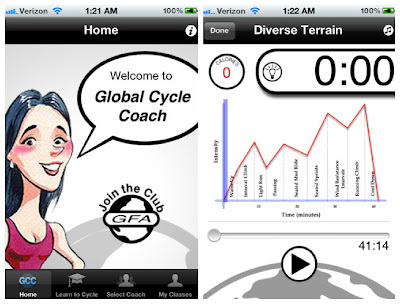 However, I am not experienced enough to make my own, so after much searching, I found an app called Cycle Coach. It makes it more like being in an actual spin class. There are multiple workouts to choose from based on time and level. You can also choose to use the music provided or input your own music. The good thing about spin workouts is that you control your own pace and resistance, so the same workout can be used over and over - just increase your pace and resistance. I also like it because it gives you an estimate of how many calories you burn in each workout and shows you what's coming up so you are able to pace yourself. What's your favorite way to burn some calories? ?